An intimate land full of endless adventure and soulful self-discovery. I’m not sure what I expected from my trip to China, but one thing is for sure, I didn’t think that I would fall in love with the country as much as I have with thanks to the beautiful countryside, welcoming people and fascinating culture of Yunnan. After having spent 3 hectic days (mainly eating and shopping!) 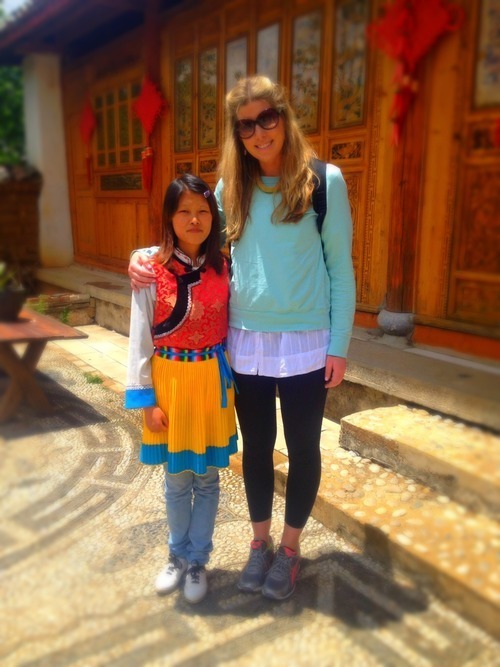 in Hong Kong, my first stop in mainland China was the UNESCO World Heritage Site of Lijiang… and what a contrast! At an altitude of 2,400m above sea level, this historic town is set deep in the Yunnan province, which borders onto Tibet, and offers a fascinating insight into rural China. Surrounded by a magical mixture of mountains, wild scenery, and 22 ethnic minority groups (there are over 50 ethnic groups in the whole of Yunnan, making up over 90% of all ethnic groups in China) it is here that you can experience the true wonder of China’s diversity. 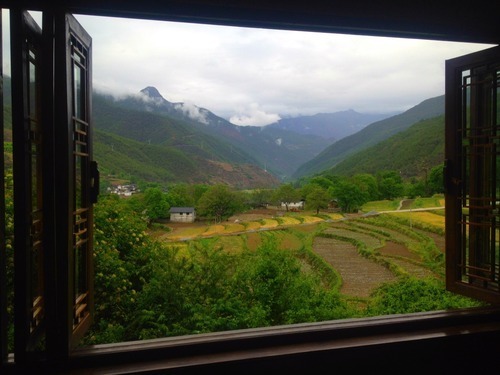 The best and only place to stay in this charming town is Banyan Tree Lijiang, which is nestled in a quiet corner of the beautiful countryside, with phenomenal views onto Jade Dragon Snow Mountain, snow-capped even in May! My first impression was totally mesmerizing as I walked through the entrance to be welcomed by the hotel’s own Pagoda with the backdrop of the Snow Mountain far in the distance. After spending my first night ‘acclimatising’ in the amazing surroundings of my Garden Jacuzzi Villa, I cherished the next few days hiking to colorful temples, taking part in a morning ceremony at the local Buddhist temple, biking across the Lijiang Basin to Yuhu village, indulging in a tasty lunch in Baisha Village (the old capital of Lijiang) and most enjoyably, taking part in a festive dinner party at a local Naxi courtyard home, where the local family lay on a delicious spread of traditional cuisine accompanied by live traditional Naxi music and dancing. 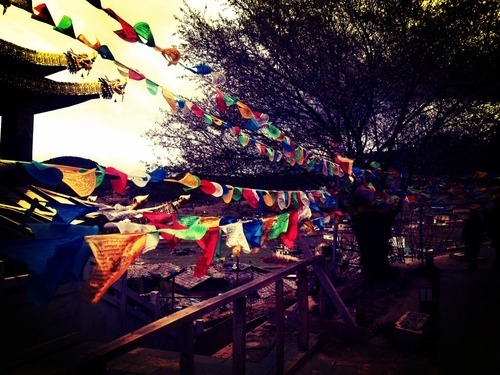 Next stop was Tacheng, a 4 hour drive from Lijiang, through some of the most beautiful countryside. Located between the Yangtze and the Mekong Rivers, Tacheng County is famed for its rich Tibetan and Lisu cultures, with traditional farmhouse style houses, it reminded me of being in the alps! Keeping with its surroundings, Songtsam Lodge in Tacheng is an absolute must for any traveler. With only 9 rooms, all with stunning views onto the beautiful terraced rice fields, this cosy little guesthouse really has a homely feel to it. The staff could not be more welcoming, and their English, or ‘Chinglish’ as they call it, is incredible considering they have taught themselves just from speaking to travelers. Nothing was too much trouble, and they even sung a traditional Naxi song after dinner to say goodnight. 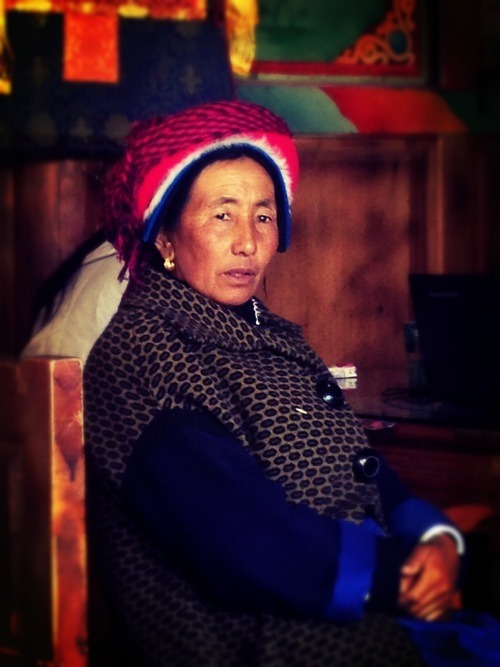 My final few nights in this beautiful province was spent in the chilly town of Shangri-La at an altitude of 3,600m, you will really feel the lack of oxygen, but oh it is worth it. 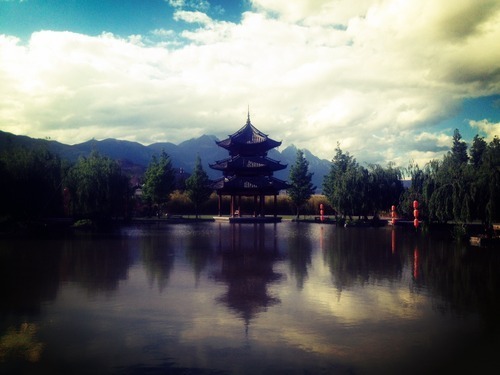 Originally known as the city of Zhongdian, China renamed it Shangri-La, in an effort to promote tourism. Despite the tourists, mainly domestic travelers, it’s a beautiful place famed for its iconic Songzanlin Monastery; the largest Tibetan Buddhist lamasery in Yunnan. 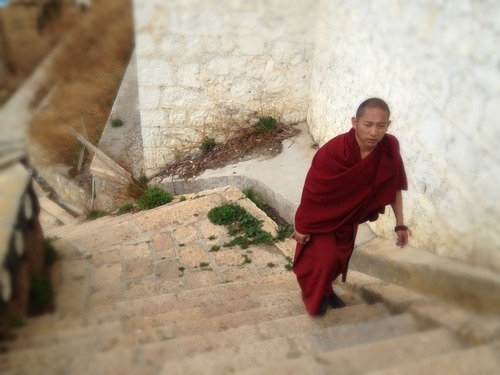 Spend your morning wandering through the gilded pillars and incense-filled rooms, whilst admiring the 700 monks that reside within the 30 hectares of land. In the afternoon stroll through the streets of the old town, admiring all the ladies in their traditional dress. Nestled in a quiet corner of this spectacular countryside sits Banyan Tree Ringha – my home for the next few days. Reminiscent of a Tibetan village, this is THE place to stay if it is the traditional and authentic style accommodation you are after. 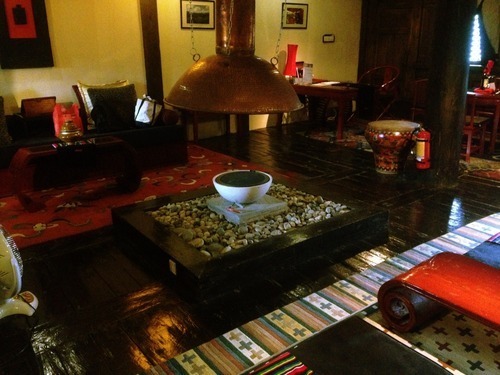 My “Tibetan Suite” as they called it, was the perfect hideaway with authentic rustic charm. Split into two levels, the first floor housed the spacious living area complete with your own fireplace, and the lower level is home to the bathroom; absolutely amazing! 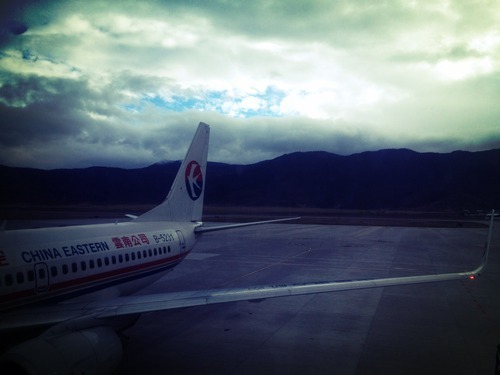 So long Yunnan – I will be back!